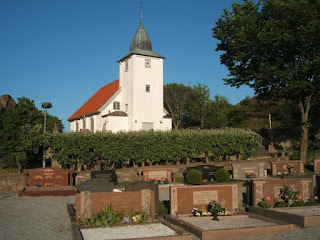 (1) Rönnäng Church and Cemetery. (5) Seamen lost at see. More names at the other side of the memorial, but the the sun "destroyed" the photo opportunity. (6) Fishermen, sea captains, pilots etc. 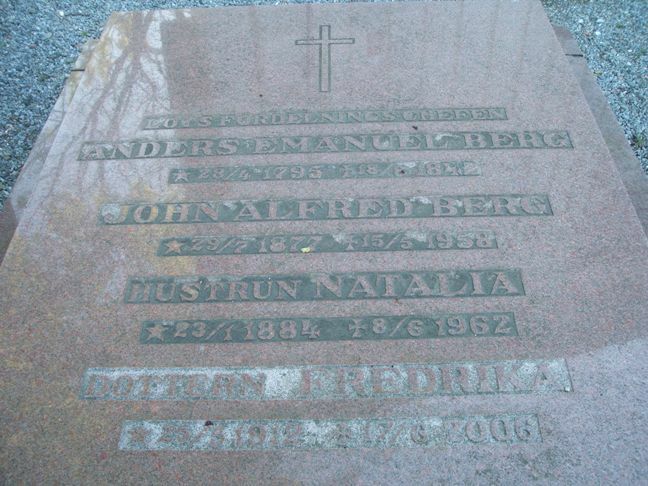 and their wives seem to form the majority of the people buried at Rönnäng Cemetery. Not too surprising when they lived in a fishing village. 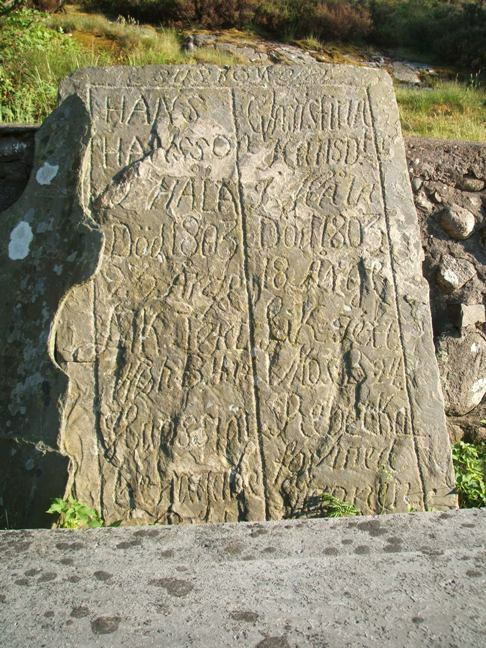 (16) Gravestone of J. Gulbrandsson (1760-1856). 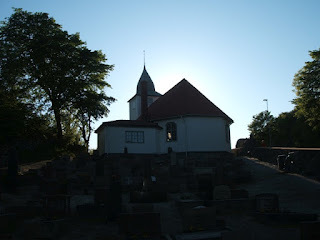 (18) The backside of the church, and at this time of the day one had to go to the other side of the church to see the sun. Naturally it made the photo a bit dark. (23) Anders Emanuel Berg (1795-1842) (top inscription) was a "lots-fördelningschef", which I guess could be translated into something like "division head of the harbour pilots". (24) A great view of the church and the area. 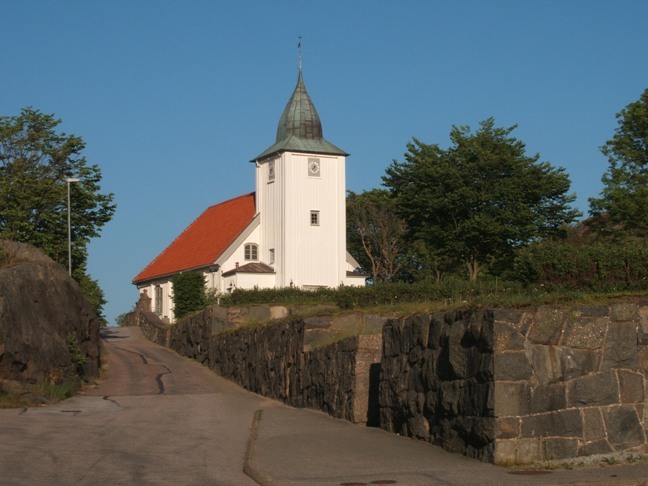 Rönnäng Church was built in 1795 and is situated in the locality of Rönnäng at the island and municipality of Tjörn (map) in Västra Götaland county in the province of Bohuslän at the Swedish westcoast. If you follow E6 northwards from Gothenburg, you should follow the signs to Stenungsund and then cross the bridge. Tjörn is the 6th largest island in Sweden (after Gotland, Öland, Orust, Hisingen and Värmdö), and is a most charming place where many Swedes own a summer cottage. I will come back with more photos from Tjörn in later blog articles. Updated on 5 June 2012 at 20.40 (typo corrected, link added). The US Secretary of State Hillary Clinton is going to Norway for an official visit later this week. She will arrive in Oslo on the evening of Thursday 31 May after leaving the first stop on her European tour, Denmark, behind. 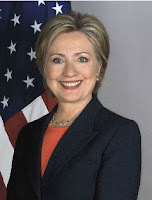 On Friday 1 June Clinton will have meetings with both prime minister Jens Stoltenberg and foreign secretary Jonas Gahr Støre and give keynote remarks at the global health conference hosted by the Norwegian government, "A World in Transition - Charting a New Path in Global Health". Queen Sonja is also going to attend the same conference held at Oslo City Hall. King Harald will grant Clinton an audience at the Royal Palace, where Queen Sonja, Crown Prince Haakon and Crown Princess Mette-Marit will also be present. According to Norway.org, Clinton also wants to meet with survivors from the Utøya island massacre of 22 July 2011. On 2 June the US secretary of state and foreign secretary Støre will travel to Tromsø, home of the Arctic Council Permanent Secretariat, for discussions of US-Norwegian co-operation in the Arctic. According to the press releases made by the Norwegian FO and the US Department of State, the discussions will focus on climate change and the sustainable development of untapped resources. Hillary Clinton's visit will be her third to Norway, but her first as secretary of state. As US first lady she visited Lillehammer in 1994 in connection with the Olympic Winther Games, and she paid Svalbard a visit in 2004, then as US Senator, together with a delegation which included Senators John McCain, Lindsey Graham and John Sununu. Following Clinton's visit to Norway, she will head on to Sweden for meetings with senior Swedish officials and where she will also participate in a Climate and Clean Air Coalition event on short-lived climate pollutants. It seems she will not meet any Swedish royals, though. I mentioned the visit to Denmark earlier. Although there is nothing about an audience with Queen Margrethe, cf. Kongehuset.dk's calendar, the website Altinget.dk claims that they will indeed get together for a short conversation. The secretary of state's trip to Europe also includes visits to Armenia, Georgia, Azerbaijan and Turkey. Postscript 30 May 2012: The calendar at Kongehuset.dk, the official website of the Danish Royal Court, has now been updated and states that Queen Margrethe II will receive the US Secretary of State at Amalienborg Thursday 31 May 2012. Updated: Postscript added 30 May 2012 at 14.40. 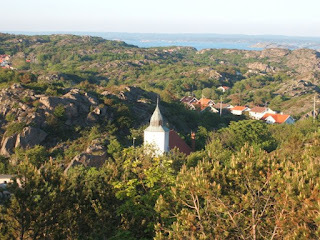 I spent the Whitsun weekend at the island of Tjörn (north of Gothenburg). I didn't visit any bookstores during the stay - I am not sure if there were any in Skärhamn at all, although I passed a used bookstore - but when I went to the local supermarket I made sure to look at the various magazines which were on display. 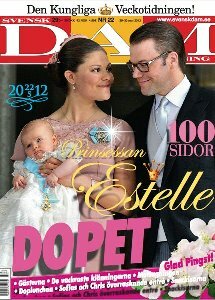 The Swedish daily Expressen together with its sister newspapers GT and Kvällsposten had published a special issue in connection with Princess Estelle of Sweden's christening, which took place on Tuesday 22 May 2012. 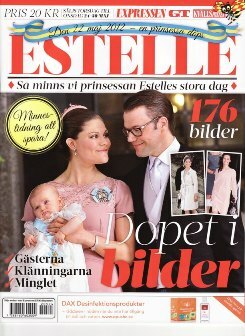 The magazine contains 176 photos showing the ceremony in the Palace Church, all the royal and "semi-royal" guests, members of the court and government as well as the many non-royal friends of the couple, including Caroline Kreuger Nilsson, who gave birth to the daughter Chloë 3 days before Princess Estelle was born (Crown Princess Victoria is one of Chloë's sponsors), her husband Jesper Nilsson as well as Caroline and Peder Dinkelspiel. There were also photos from the reception after the ceremony, besides the traditional "De kämpade för kärleken i sju år" ("They fought for their love for seven years"), presentations of Princess Estelle's uncle, Prince Carl Philip and aunt, Princess Madeleine, the Westling family and of Princess Estelle's royal friends and future colleagues, including Prince Christian of Denmark, Princess Ingrid Alexandra of Norway, Princess Elisabeth of Belgium, Princess Catharina-Amalia of the Netherlands and Infanta Leonor of Spain. You can also find flashbacks to the royal wedding in 2010 besides articles covering Crown Princess Victoria and Prince Daniel's life as a married couple so far, the Bernadotte dynasty and the Haga Palace where the family of three now lives. The special issue was published on Thursday 24 May and is for sale until Wednesday 30 May (i.e. tomorrow). 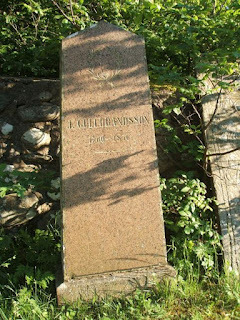 Copyright: Kungahuset.se. Official photo of Princess Estelle's sponsors Prince Carl Philip of Sweden, Anna Westling Söderström, the Prince of Orange (Willem-Alexander of the Netherlands), Crown Princess Mary of Denmark and Crown Prince Haakon of Norway together with Princess Estelle and her happy parents, Crown Princess Victoria and Prince Daniel. The magazine therefore missed out on the official photos published by the Royal Court on Friday 25 May 2012. The first issue of Swedish weekly magazine Svensk Damtidning after the christening came on sale on 25 May, so I gather that it missed out on the official photos as well. I didn't buy it, though. It is also on sale up to and including 30 May and boasts of 100 pages covering the Swedish royal event of the year (unless there should be a royal wedding in the fall...). If you miss out on the printed edition, then go to the magazine's website for articles and photos covering the great event. 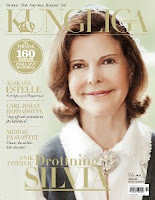 I also bought the first issue of Sweden's new royal magazine, Kungliga Magasinet. Well, it is not that new anylonger, as it was published in April this year, but I only came across it this weekend. It is on sale also in Norway, but I haven't had much time to look for it. There is a huge Narvesen kiosk near Nationaltheatret metro station in Oslo, but too often I have to hurry from my work nearby to reach the train, meaning that I don't get enough time to check out for new magazines. Anyway, as the first issue was published in April, the June issue should be just around the corner. The first issue, 160 pages in all, includes among others an exclusive interview with Queen Silvia of Sweden, an article on her first granddaughter Princess Estelle, a presentation of Europe's royal heirs (Prince Christian of Denmark, Princess Elisabeth of Belgium, Princess Catharina-Amalia of the Netherlands, Princess Ingrid Alexandra of Norway and Infanta Leonor of Spain, an interview with Count Carl Johan Bernadotte af Wisborg (made a few years ago in connection with the editor Roger Lundgren's biography of Princess Sibylla, mother of King Carl Gustaf), a story on Prince Bertil, who would have been 100 this year, a royal news section, in addition to articles on the Prince of Wales and Duchess of Cornwall's visit to Sweden, "the palace of the month" (Gripsholm) and the Royal Order of the Seraphim. And much, much more! For instance a presentation of the court jeweller Bolin and RDQ editor Ted Rosvall's article "En delad dynasti" ("A divided dynasty") about King Gustaf IV Adolf, who lost the throne in 1809, and other members of the Holstein-Gottorp dynasty. Besides - many great photos! A most promising debut, and one can only hope that Roger Lundgren will have greater success with his new magazine than he had with his previous one, Queen. Kungliga Magasinet is also on Facebook and Twitter. The former page is updated regularly, while the new royal magazine's Twitter account hasn't really "taken off". Svensk Damtidning is also on Facebook, I should add. The christening of HRH Princess Estelle, the daughter of HRH Crown Princess Victoria and HRH Prince Daniel of Sweden, took place at the Palace Church in Stockholm on Tuesday 22 May 2012. As has happened too often lately, other commitments made it impossible for me to write anything about the christening in advance or yesterday after the ceremony had taken place. On Monday I attended an extended committee meeting in connection with the preparations for the 31th International Congress for Genealogical and Heraldic Sciences, which will take place in Oslo in August 2014 (the 30th Congress takes place in Maastrict, the Netherlands in September 2012). And yesterday evening I attended the annual meeting of the Norwegian Genealogical Society. In other words, no time for blog writing. And as the ceremony took place in the middle of a work day, I didn't get the chance to watch any of it either. But from what I have read and all the photos I have seen (there are at present 463 photos published at the official website's christening page, besides a film), the christening ceremony seems to have been a grand affair. The facts: The christening was officiated by Archbishop Anders Wejryd, assisted by Chaplain to The King and Bishop Emeritus Lars-Göran Lönnermark and Dean Åke Bonnier of the Cathedral Parish of Stockholm. Princess Estelle's sponsors were the Prince of Orange (Willem-Alexander of the Netherlands), Crown Prince Haakon of Norway, Crown Princess Mary of Denmark, Prince Carl Philip of Sweden and Ms. Anna Westling Söderström (Prince Daniel's sister). In addition numerous members of the families of Queen Silvia and Prince Daniel besides representatives of the official Sweden. Not included in the official guest list, but very much present and well covered by the media and the royalty watchers, were Prince Carl Philip's partner Sofia Hellqvist and Princess Madeleine's partner Chris O'Neill. Interestingly enough it appeared that King Carl Gustaf had bestowed upon Princess Estelle the Royal Order of the Seraphim. The arms and monogram of Princess Estelle (see images above) were also published. The four quarters of the arms show the lesser coat of arms of Sweden (field 1 and 4), the arms of Folkunga (field 2) and in field 3 the arms of Östergötland (Princess Estelle is Duchess of Östergötland), while the inescutcheon shows the arms of the House of Bernadotte. The arms are crowned by the princess crown. 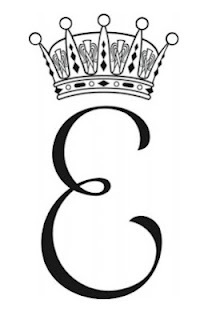 The monogram consists of the initial E and a princess crown above. 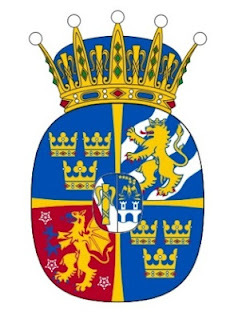 The heraldic artist Vladimir A. Sagerlund has designed both the arms and the monogram, which were approved by the king. The christening of Prince Joachim and Princess Marie of Denmark's second child took place at Møgeltønder Church today at 5 p.m., and the given names of the princess, who was born at Copenhagen on 24 January 2012, were finally announced: Athena Marguerite Françoise Marie. The sponsors were Gregory Grandet (Princess Marie's half-brother), Edouard Cavallier (Princess Marie's half-brother), Carina Axelsson (partner of Prince Gustav of Sayn-Wittgenstein-Berleburg, Prince Joachim's first cousin), Julie Mirabaud (a friend of Princess Marie), Diego de Lavandeyra (another friend of Princess Marie) and Henriette Steenstrup (a friend of Prince Joachim). Bishop Erik Norman Svendsen officiated the ceremony. After the christening Princess Athena's parents opened the doors at Schackenborg Palace for a private reception. 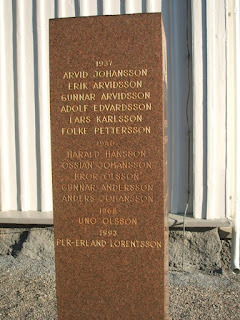 The guest list included Queen Margrethe II, Prince Henrik, Crown Prince Frederik, Crown Princess Mary, Prince Christian, Princess Isabella, Prince Gustav of Sayn-Wittgenstein-Berleburg, Carina Axelsson, Prince Nikolai, Prince Felix, Prince Henrik (the last three brothers of Princess Athena, the first two from Prince Joachim's first marriage with Alexandra Manley, now Countess of Fredensborg), Count Ingolf and Countess Sussie of Rosenborg and members of Princess Marie's family. I am not sure what to make out of the chosen names. It is of course parents' personal choice, and as with Princess Estelle of Sweden, whose christening will take place at Stockholm on Tuesday 22 May, we will easily get used to the name Athena, the young princess' call name. But as I have said on many occasions before, I would have preferred that a Danish princess got a call name with royal and/or Danish/Norse roots. Athena is the name of a Greek goddess, Marguerite is a French version of Margrethe, so the princess seems to be named after her paternal grandmother, while the princess' third name comes from her maternal grandmother. And the fourth name could of course be after the child's mother. 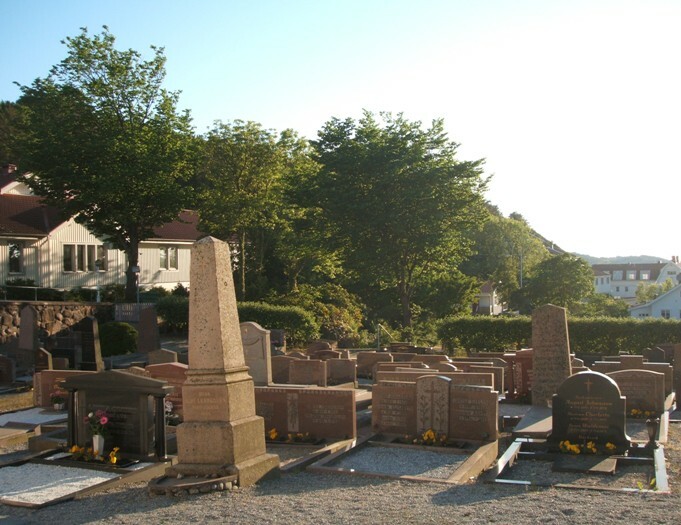 There have of course also been several members of the Oldenburg and Glücksburg dynasties with the name Marie before, including King Frederik VI's wife (1767-1852), née Princess of Hesse-Kassel and Prince Valdemar's wife Marie, née Princess d'Orléans (1865-1909). 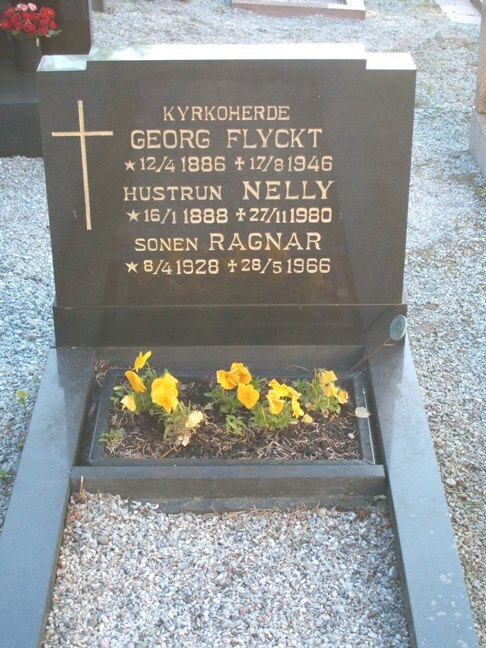 As of 1 January 2012 there are 63 people in Denmark named Athena, cf. Statistics Denmark. 61 women are named Marguerite, 31 are named Françoise, while as many as 18.388 women are named Marie. See also Peter Kurrild-Klitgaard's article Conditional Consent, Dynastic Rights and the Danish Law of Succession for a discussion on the rights of Princess Benedikte's children. The funeral service for Count Carl Johan Bernadotte af Wisborg, b. 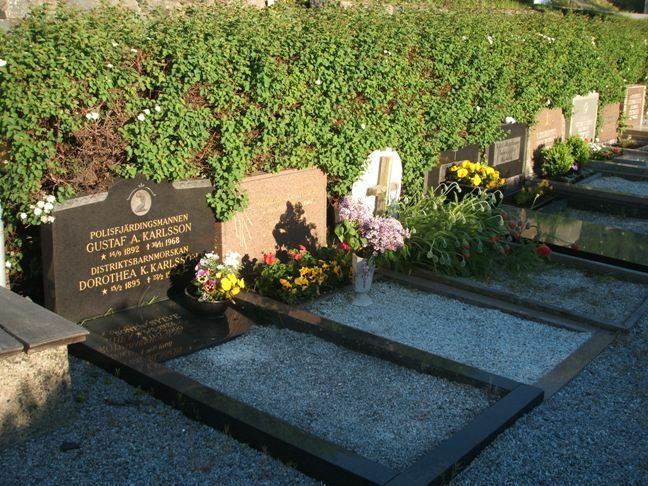 Prince of Sweden, who died on 5 May 2012, took place at Mariakyrkan in Båstad yesterday, 14 May. Besides the immediate family - among them Count Carl Johan's widow Gunnila and his children from his first marriage, Monica Bonde and Christian Bernadotte - the service was attended among others by the late count's nephew, King Carl Gustaf, as well as Queen Silvia, Crown Princess Victoria, Prince Daniel, Prince Carl Philip, Princess Margaretha Mrs. Ambler, Princess Désirée, Baroness Silfverschiöld, Princess Christina Mrs. Magnuson, Queen Margrethe II and Prince Henrik of Denmark, Princess Benedikte of Denmark (and Princess of Saynb-Wittgenstein-Berleburg), former Queen Anne-Marie of the Hellenes and Countess Gunnila's cousin Ian Wachtmeister. See Expressen.se for a film taken outside the church. A private memorial service took place at the Palace Church in Stockholm today at noon. Most of the people who attended the funeral service yesterday, were also present today, except for Prince Henrik and Queen Anne Marie. Princess Madeleine returned home from the United States in order to pay her respect, and Princess Birgitta also joined the mourners. 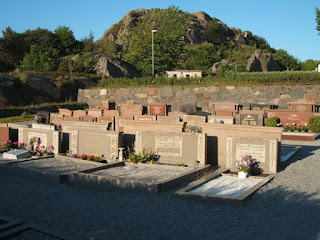 Following the memorial service, the casket was brought to Haga burial grounds where Count Carl Johan was laid to rest. Afterwards King Carl Gustaf hosted a lunch for selected guests at the Royal Palace in Stockholm. 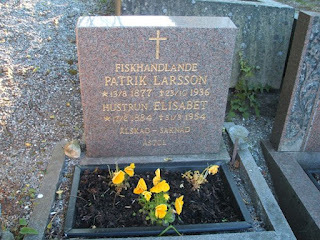 In my blog article on 9 May, I commented that "As of now it seems that no members of the Norwegian Royal Family will attend the funeral, but the calendar at the official website might not have been updated". 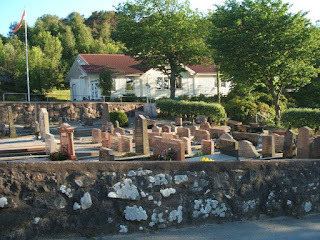 As it appeared, the Norwegian royal family was not represented at either services, which I suppose was not a big surprise. Count Carl Johan was - even if they had met on occasions - only a distant cousin, and both the king and crown prince had other engagements. Updated on Thursday 16 May 2012 at 16.00 (typos corrected). François Hollande, who was elected President of France on 6 May 2012, was today, 15 May 2012, sworn in as the republic's new president. In accordance with the Andorran Constitution Article 43 Hollande also succeeded today as Co-Prince of Andorra (the other Co-Prince is the Bishop of Urgell, succeeded in 2003). I have therefore updated my website Longest reigns today in order to reflect the event in Andorra (and France!). Queen Elizabeth II of the United Kingdom, b. 1926, who celebrates her diamond jubilee this year, is the second oldest monarch of the world today (King Abdullah of Saudi Arabia, b. 1923, tops that list), and is also in second place in the list of the longest reigns of today's monarchs. The ailing King of Thailand, Bhumibol, b. 1927, succeeded already in 1946. Today HM Queen Elizabeth II of the United Kingdom became the second longest reigning monarch in British history (59 years and 110 days). King George III's reign has now dropped down to third place. The queen is set to overtake Queen Victoria's record of 63 years and seven months in September 2015. Still a long way to go, though, but at present the queen seems to be in excellent health, so let's hope that she will be able to make the record! See also Hoelseth.com for a survey of how Queen Elizabeth compares to the other reigning monarchs of the world. The Norwegian Armed Forces has recently published the booklet Heder og ære. 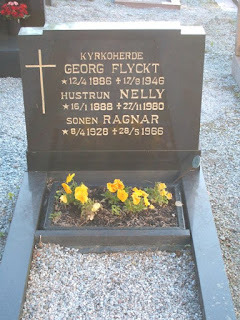 Nasjonale og internasjonale dekorasjoner brukt i Norge ("Honour and glory. National and international dekorations used in Norway"), which is a wonderfully illustrated survey of orders, medals and other decorations used in Norway. 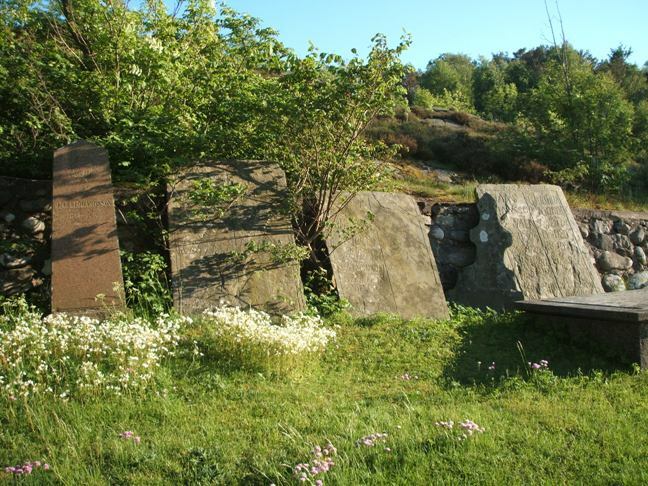 The booklet was published as an enclosure to the May 2012 issue of Forsvarets Forum, the monthly magazine of the Norwegian Armed Forces, but is a joint project with Forsvarets veterantjeneste (The Norwegian Armed Forces Veteran Affairs). The booklet is divided into 6 groups (sections). The first group deals with orders and medals awarded/approved by HM The King, and includes everything from the War Cross with Sword and the Royal Norwegian Order of St. Olav to the Police Medal and the Armed Forces' service medal. 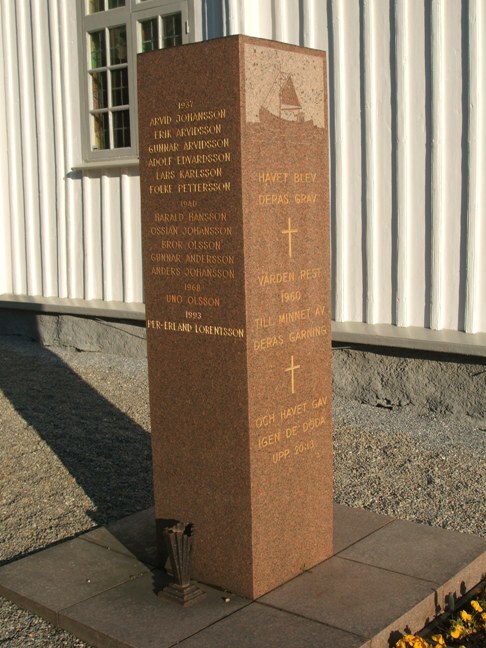 The second group contains a survey of orders and medals awarded by foreign heads of state and include the Order of the British Empire (United Kingdom), the Order of the Dannebrog (Denmark), the Order of the Lion (Finland), the Order of the Falcon (Iceland), the Royal Order of the Polar Star (Sweden), the Order of Merit of the Federal Republic of Germany, the Order of Leopold II (Belgium), the Order of Isabella the Catholic (Spain), the Legion of Merit (USA), Ordre National de Mérite (France), the Order of the Oak Crown (Luxembourg) and the the Order of Oranje-Nassau (the Netherlands). I am not sure why just these decorations were included, though. The third group shows decorations awarded by the UN, NATO, EU, OSCE and similar international organsiations/unions. The fourth group deals with various medals awarded by different military (and some civil) associations etc., for instance the Independent Norwegian Brigade Group in Germany Veterans' medal and HM The King's Guard's medal. The fifth group shows other foreign medals, while group VI deals with merit badges. In addition you can find information about the Armed Forces' medal for casualties (killed in action) and the Dag Hammarskiöld's memorial medal. Included in the booklet is also information about the use and awarding of orders and medals, a selection of statutes of various orders and decorations as well as a useful dictionary. The booklet is written in Norwegian, but some of the decorations have an English summary as well. See also the chapter about the Norwegian orders and medals at the official website of the Norwegian Royal Court. Count Carl Johan Bernadotte af Wisborg, who was born at Stockholm on 31 October 1916 as the youngest son of the then Crown Prince Gustaf Adolf and Crown Princess Margaret, née Princess of the United Kingdom of Great Britain and Ireland, died at Ängelholm Hospital, Båstad on Saturday 5 May 2012 at 9 p.m. Carl Johan was the last surviving great-grandchild of the British Queen Victoria. The Swedish Royal Court issued a statement on Sunday 6 May 2012, in which the former Prince of Sweden was described as "a dear and beloved family member who had meant a lot to the whole family through his friendliness and humour". 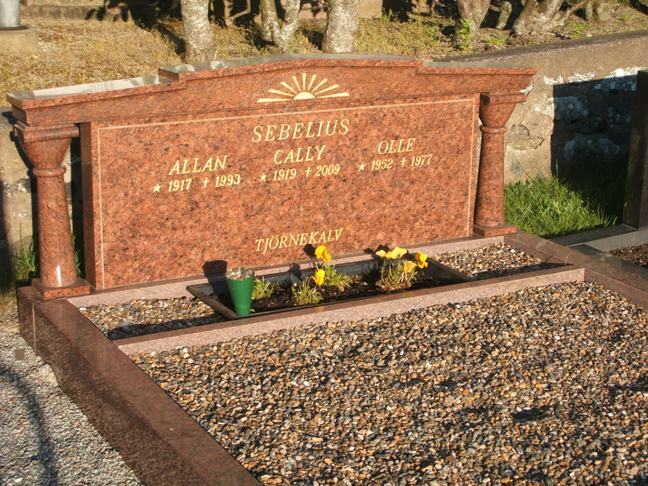 Carl Johan was going to be remembered as "a respected and amiable relative". 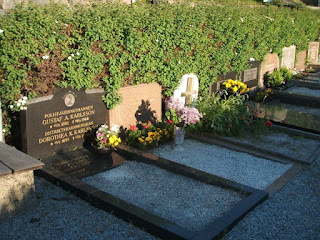 His great knowledge of the family history was also pointed out. 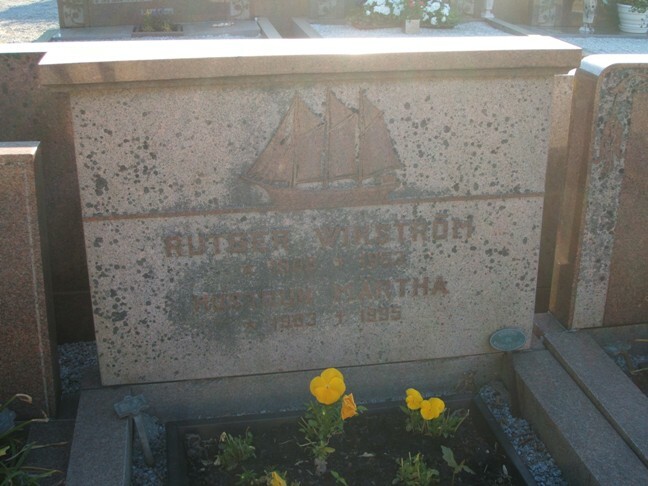 Carl Johan, a nephew of King Carl XVI Gustaf, lost his titles Prince of Sweden and Duke of Dalarna when he married the Swedish commoner Kerstin Wijkmark, b. 4 March 1910, in 1946. The couple, who lived abroad, among others in London, for most parts of their married life, had two adopted children, Monica, b. 1948, and Christian, b. 1949. 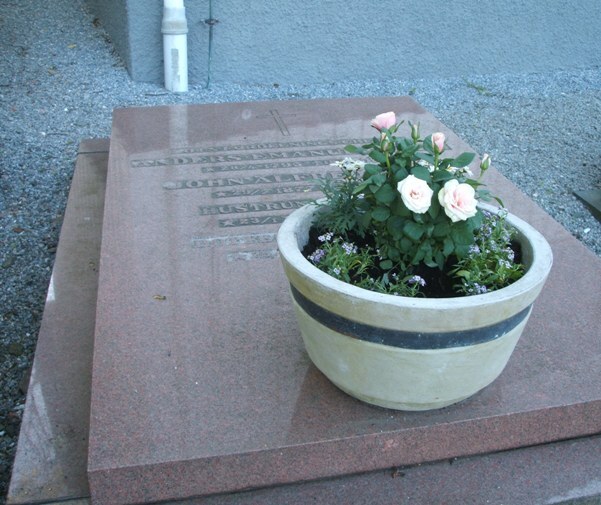 Carl Johan worked as a business man, while his wife contineud her career in journalism. 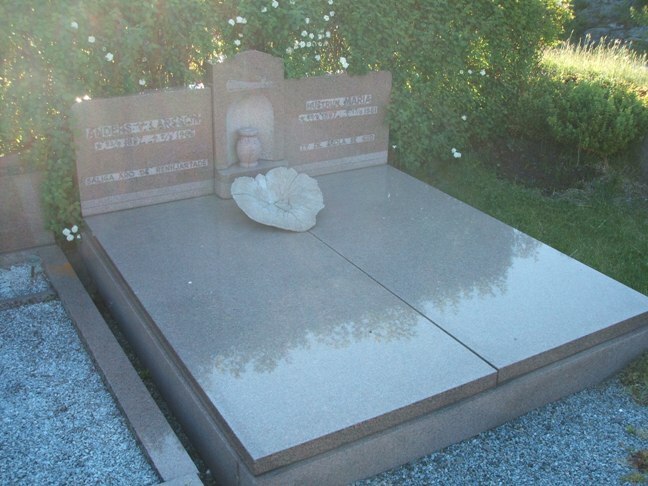 Carl Johan Bernadotte received in 1951 the title Count of Wisborg by Grand Duchess Charlotte of Luxembourg. 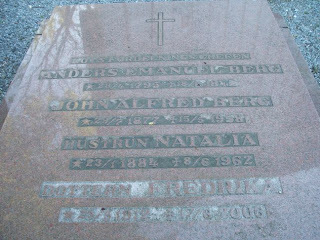 Kerstin died in 1987 and Count Carl Johan married 2ndly the year after Countess Gunnila Wachtmeister af Johannishus, b. 1923, who survives him. 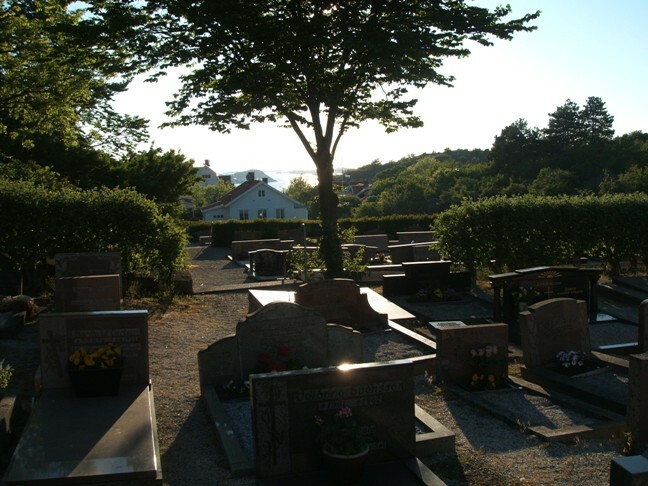 The funeral service will take place at Mariakyrkan (St. Mary's Church) in Båstad on Monday 14 May at 11 a.m. The Swedish Royal Court has announced that King Carl XVI Gustaf, Queen Silvia, Crown Princess Victoria, Prince Daniel and Prince Carl Philip will all attend the funeral. Princess Madeleine lives in the USA and will not travel home for the funeral. The Danish Royal House will according to Billed-Bladet be represented by Queen Margrethe II and Princess Benedikte, nieces of the late count. As of now it seems that no members of the Norwegian Royal Family will attend the funeral, but the calendar at the official website might not have been updated. 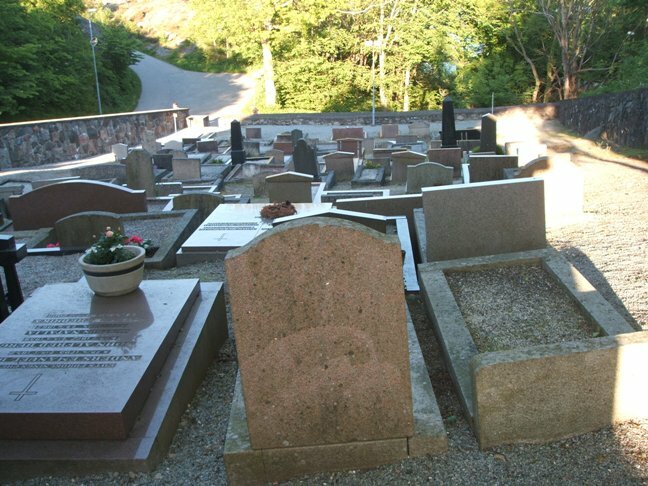 Following the funeral service in Båstad the casket will be brought to the Palace Church in Stockholm where a memorial service is planned for Tuesday 15 May. King Carl XVI Gustaf, Queen Silvia, Crown Princess Victoria, Prince Daniel and Prince Carl Philip will all be present. 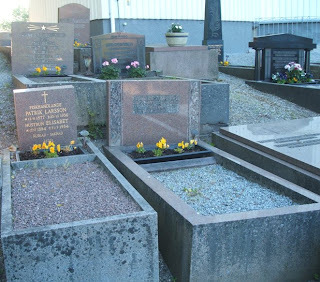 Later Count Carl Johan's body will be interred at the Royal Burial Ground at Haga Park outside Stockholm, where also his parents as well as Queen Louise, Prince Carl and Princess Ingeborg, Prince Carl "Mulle" Bernadotte and his brothers Gustaf Adolf, Bertil and Sigvard are buried. 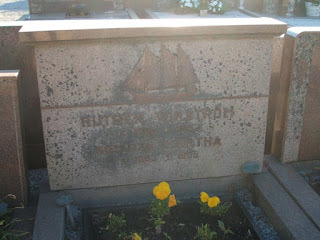 Princess Sibylla is also buried there. Carl Johan's wife Gunilla is also expected to be buried at Haga, cf. the national newspaper Expressen.se. Carl Johan's first wife Kerstin is buried at Båstads Nya Kyrkogård (Båstad New Cemetery). Much can be said about the lack of accuracy in the obituaries published in the foreign press. I will limit myself to point out that Carl Johan didn't renounce his succession rights to the Swedish throne, as the succession law automatically excluded him when he married "a Swedish private man's daughter". The strict rules concerning marriages to Swedish commoners were repealed in 1980. 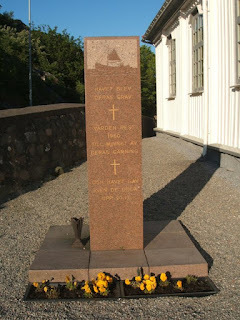 Updated on Friday 11 May 2012 at 11.00 (language + information about the church in Stockholm corrected, cf. the comments field), Friday 11 May 2012 at 16.10 (information about Haga graves added). The Grand Ducal Court in Luxembourg (Le Maréchalat de la Cour) announced yesterday, 3 May 2012, that the wedding between Hereditary Grand Duke Guillaume and Countess Stéphanie de Lannoy will take place on Saturday 20 October 2012. I gather then that both the civil and the religious ceremonies will take place at the same day. The engagement was announced on 26 April 2012. For those of you who don't follow the updates on the European Royals Message Board or the Franco-Iberian Royals Message Board regularly and therefore have missed the links to the upcoming royals portraits auction in Paris, I thought it would be a good idea to repost the link here as well (go here). 248 portraits, many of them of well-known royals and nobles in the 19th century, are for sale. The auction takes place at the auction house Hotel Drouot in 32, rue Drouot on Friday 4 May 2012, and the portraits will be on display from Tuesday 2 May onwards. If you are not able to visit the auction house or have no means to make a bid, then at least you are able to enjoy the beautifully illustrated auction catalogue. A pdf version can also be downloaded. You can get more information about the auction at the website Drouot.com. The Office of the Lord Chamberlain announced yesterday that the marriage between Crown Prince Tupouto'a 'Ulukalala and Hon. Sinaitakala Tu'imatamoana 'i Fanakavakilangi Fakafanua will take place on Thursday 12 July 2012 at the Centenary Church in Nuku'alofa. The royal wedding was originally scheduled for 4 May 2012, but due to the mourning period observed after King George Tupou V's death on 18 March, the celebration was postponed. The engagement between the then Prince ‘Ulukalala, b. 1985, and Hon. Sinaitakala Tu'imatamoana 'i Fanakavakilangi Fakafanua, b. 1987, took place at Tonga on 25 July 2011 and was also celebrated at Sydney, Australia on 20 January 2012, cf. The Royal Ark. Hon. Sinaitakala Fakafanua is the only daughter of the 7th Lord Fakafanua and HRH Princess Sinaitakala ‘Ofeina-’e he-Langi Fakafanua. The official investiture of Prince ‘Ulukalala to the title of Crown Prince Tupouto'a, took place at the Liukava Royal Residence on Friday 30 March 2012, cf. the press statement released by the Government Portal on 2 April 2012. Curiously enough the press release was dated 20 April 2012, but only published at the Tongan Government Portal 10 days later. The official website of the Tongan Royal Family has unfortunately not been updated in a while.